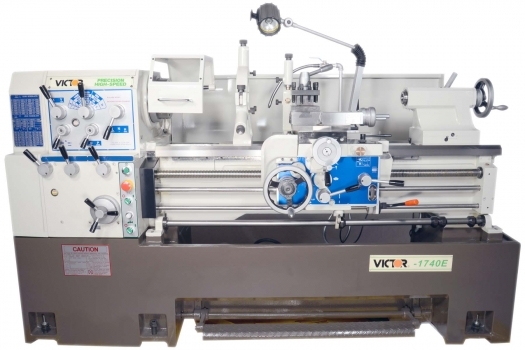 High performance precision heavy-duty lathe with rigid one piece Meehanite casting bed provides superior accuracy, durability, and reliability. Exceptional high quality construction results in stability and consistency. 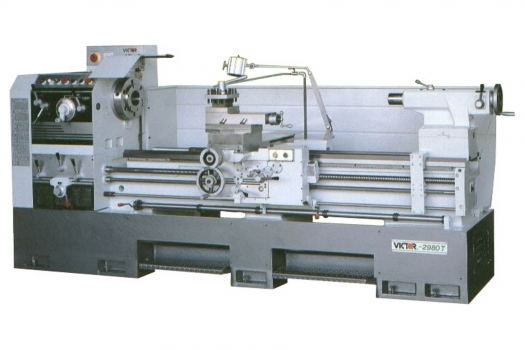 Precision built lathe combines accuracy, rigidity and large 3-1/8″ hole thru spindle for most demanding applications. Thermal treated Meehanite cast bed and one-piece base provide superior durability and reliability. Extra large rigid compound rest and Meehanite casting bed provide excellent stability and consistency during machining. 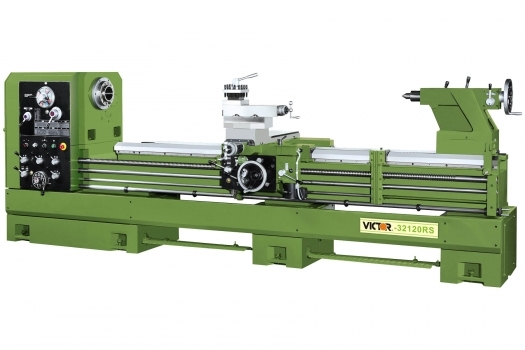 Large 3-1/8″ spindle bore and 10 HP main motor are sufficient for high demanding jobs. 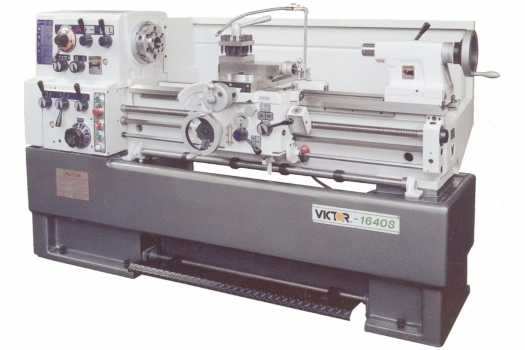 Large 4-1/8″ spindle bore and 15 HP main motor high precision heavy-duty lathe designed to turn heavy parts smoothly and efficiently. 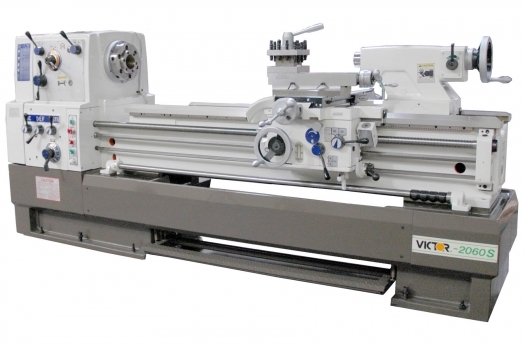 The quality built construction ensures maximum durability, rigidity, and unsurpassed reliability. 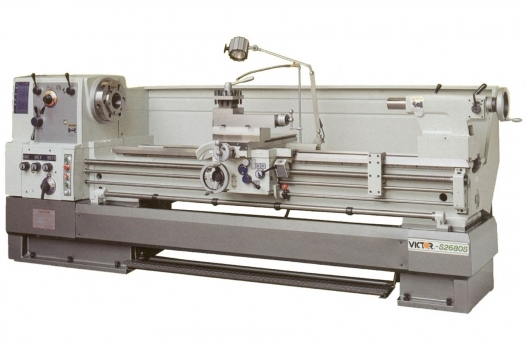 Tough built to last with large 4-1/8″ spindle bore, 4-way rapid traverse, and 20 HP main motor. The best in its class to handle utmost demanding work. 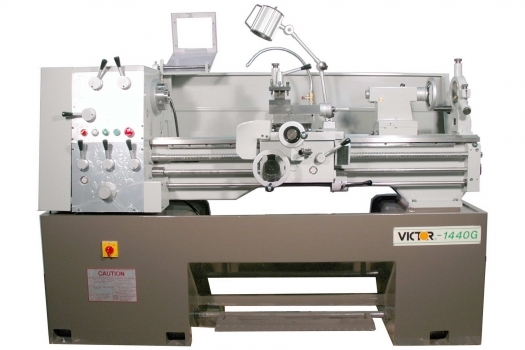 Victor 3200RS series lathe is designed to provide outstanding performance and structural rigidity with large 6.02″ spindle bore and 20 HP main motor.